Small Group. Max 4 People. ….start your wildlife adventure in Yala . 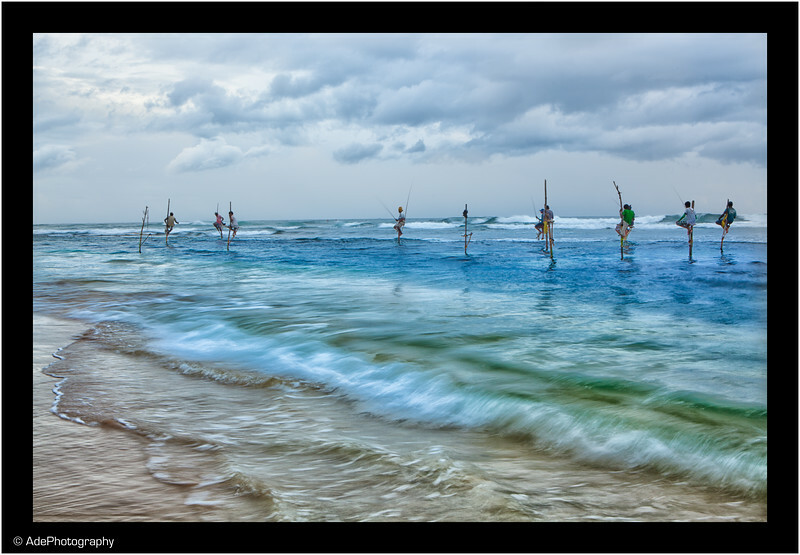 Come join us on an amazing photo tour of the very best of Wild Sri Lanka. Our tours are tailed to provide maximum photographic returns, we run small groups ( Max 4 guests ), these small groups afford a higher degree of flexibility with plan changes during the Photo Tour, when possible we are able to spend as much time as deemed required per location if something captures our interest. 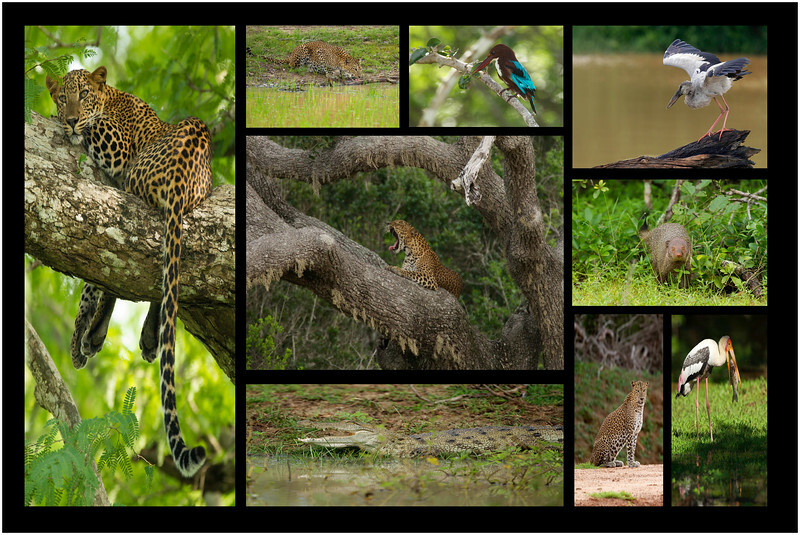 We travel through rugged Yala national park in search of the “Lords of Jungle” – The mighty Leopard of Yala. Our primary focus is the Leopard (Panthera pardus), however will we also encounter – Deer, Buffalo, Wild Boar, Mongoose, Wild dogs and a plethora of colourful birds and if we're lucky Sloth Bear - which all make fantastic photo opportunities. 3rd May - 12th May 2019. Day 1 - Your Arrival. During the evening we take time to meet and greet other participants and discuss the tour. **Afternoon Photo Safari - depening on arrival time. Morning And Afternoon Photo Safaris !!! On one of the days, we will head over to Bundala National Park to photograph the many resident and migratory birds. The Tour ends at Colombo International Airport. We say our farewells and then depart for our respective homeward bound transfers. Difficulty level: Easy – Moderate. Climate: Warm to Hot. It is imperative you ensure your flight arrives in Colombo at least a day before the start of the tour. • Love to travel and a passion for wildlife photography - All level welcome - Newbies to Guru ! • At bare minimum a camera ( film or digital ) and a telephoto lens . • Light clothing – Long sleeve shirt and trousers, hat, and trekking boots - It will be very warm / hot .. Trust me ! The early morning and evening being the coolest time of the day. • All accommodation and meals ( BLD - see schedule ) during your tour. • Internal bus ( Chartered ) transfers for the entire trip . Ample space for all ! • All location admission fees. • Your flight / transportation cost to / from Colombo International Airport. • Hotels costs while traveling prior to the start or after the Photo Tour. • Costs of meals / beverages on Arrival Day 1. • You are advised to schedule your arrival a day before the start of the Photo Tour, this not only reduces the impact of any international flight delays, but also enables international guests to sleep off any jet lag. • Comfortable western style hotels with a warm Asian feel . • Single room accommodation for the entire tour. You do not need to share your room at any location . You are advised to take out comprehensive insurance to cover your entire time on the tour Your insurance should cover but NOT limited too the following - Medical , Travel , Camera equipment , in addition to any other areas you deem required. Please seek professional medical advice from your Doctor/GP/Physician on your intention to travel to an area of extreme heat. Vaccination might be required prior traveling to thsi location !! Will we be traveling in rural Sri Lanka, where little medical facilities will be available, please ensure you bring any needed medication along. • Participants with any form of breathing difficult or health issues in environments with extreme heat are advised to seek medical advice before booking a place on this tour . NOTE: Please ensure your email address is correct when using the contact or booking form, we generally aim to respond to your inquiry with 2 working days , however if you do not hear from us within that period please check for email from AdePhotography.com in your spam folder, if your spam email is auto deleted, please clear AdePhotography.com in your email filter and mail us again.